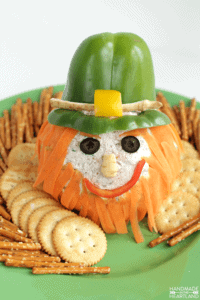 This corned beef leprechaun cheeseball is sure to make everyone laugh. 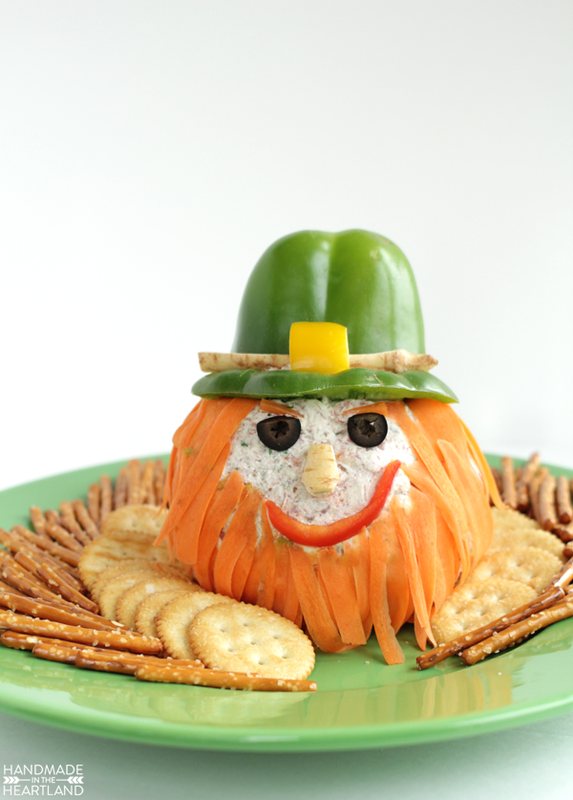 This is the best appetizer for your St.Patrick’s day party! This post contains affiliate links which means that I make a few pennies should you decide to purchase anything that I recommend. I only recommend products I use and love! This helps keeps recipes free for you! Two words. Leprechaun. Cheeseball. I mean have you ever?! There aren’t a lot of times that I create something and it makes me giddy, this guy, this guy made me giddy. He is just begging you to take him with you to your St.Patricks day celebration or even lunch at work on the 17th of March. Honestly I’m not one to really celebrate St.Patricks day. 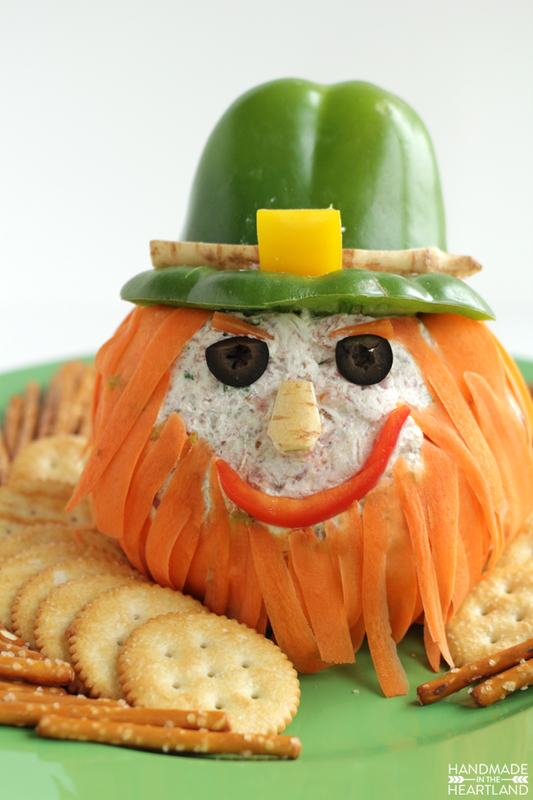 I’m not Irish and I don’t drink alcohol so theres that… However if I was invited to a celebration you bet your bottom that I would be bringing this corned beef leprechaun cheeseball. I mean can you imagine the hit of the party he would be! Use room temperature cream cheese. It’s almost as crucial as when you’re making a cheesecake. Leave the cream cheese out on your counter an hour before mixing the ingredients together. Use a stand mixer. The best thing about cheeseballs is how fast they are to make. As long as you’ve got your cream cheese at room temperature you can literally make it in 10 minutes or less. Just pop all the ingredients into your stand mixer and let ‘er whirl. Get your hands wet. I found the easiest way to form the gooey room temperature mixture into a ball is to get your hands wet. 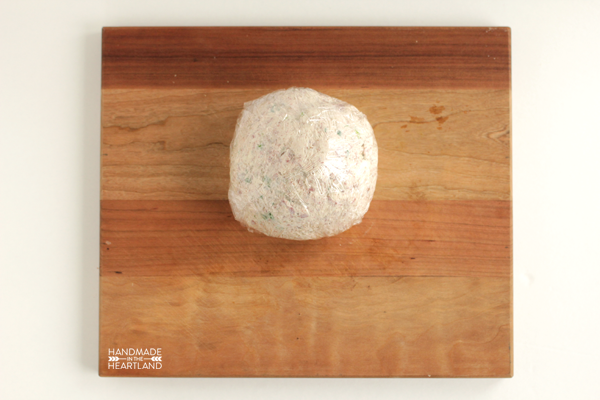 It prevents the cheeseball from sticking to you and lets you shape it quickly, then wrap it up in plastic wrap and pop it in the fridge to firm up. Since this guy is obviously going to be consumed at your next St.Patricks day gathering I made sure to create a cheeseball that is fit for the day. I’m not sure if corned beef and horseradish are traditionally Irish but they sure are included in the American celebrating of St.Patricks day! 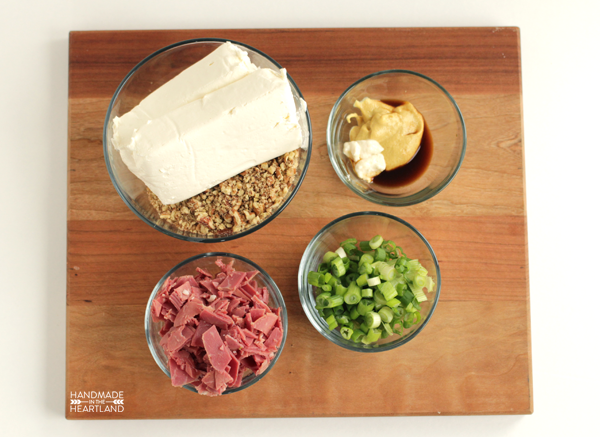 This recipe calls for corned beef that you can get at your deli counter, just chop it up once you get home and throw it in with all the other ingredients. The only thing this recipe is lacking is the cabbage. 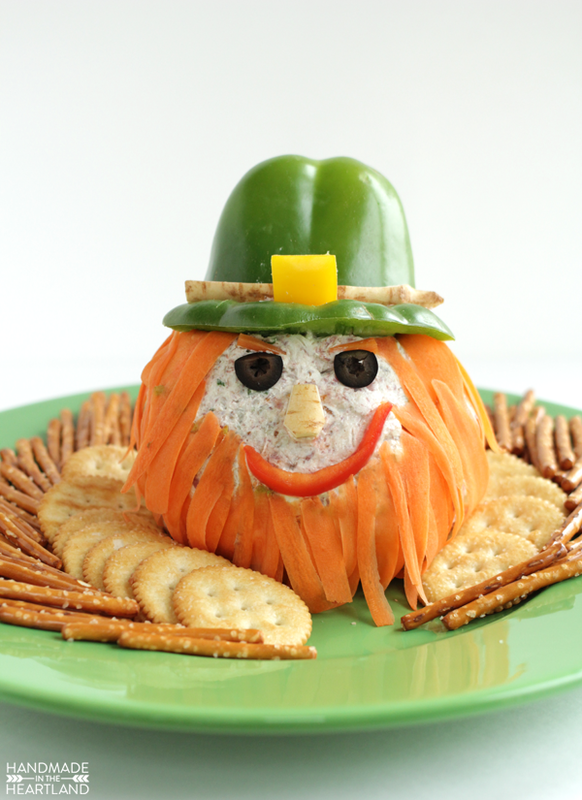 This corned beef leprechaun cheeseball is sure to make everyone laugh. This is the best appetizer for your St.Patrick's day party! To make the cheeseball make sure the cream cheese is at room temperature, I like to take mine out 1-2 hours prior to making the recipe. In the bowl of a stand mixer add all your ingredients and mix with the paddle attachment until well combined. With wet hands grab the entire mixture and form into a ball. 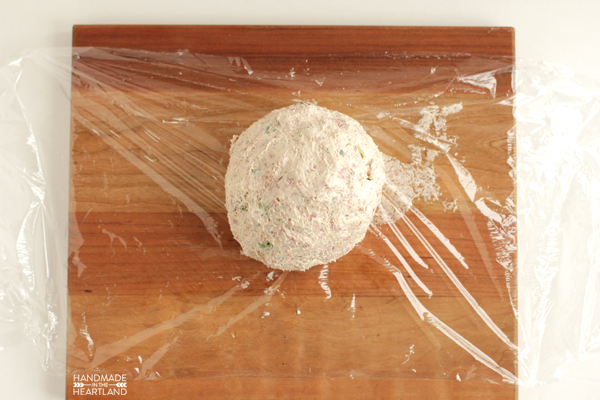 Place on plastic wrap and then wrap up and put in the fridge. Place in the fridge for at least 2 hours to firm up before decorating. To decorate cut out your vegetables into the shapes shown in the picture. I used 1/2 of a bell pepper for the top of the hat and the brim part is made with the top part of the bell pepper that has the stem on it, stem cut off. I used a piece of parsnip for the nose and the stripe on the hat. The yellow square on the hat is a yellow bell pepper and the mouth is a thin strip of red bell pepper. The eyes are the ends of 2 black olives, the end that looks like a star. For the hair and beard i just peeled a carrot with my vegetable peeler, I discarded the first layer of the carrot and then kept peeling and used those. I also used thinly cut carrot for the eyebrows. All of the facial features stayed on by just pressing the cut out pieces into the cheeseball. Easter is right around the corner which means you’re going to need to make my Easter bunny cheeseball or Easter chick cheeseball! Both are so cute! If you make this guy please let me know! I love to see it when you make things from the blog! Share it with me in the comments or tag me on Instagram (@handmadeintheheartland) or facebook! Need to save the recipe for later? Pin the image below!